2001 Mercedes-Benz ML55 AMG: Who Says SUVs Can’t Be Fun? SUVs aren’t going away. It’s a fact that has progressively become all too clear over my last twenty-odd years of suburban and urban commuting. For decades I sat in traffic behind these rolling billboards advertising the driver’s overcompensation for something they were lacking, something that was too small, or perhaps something that just doesn’t work any more. Last year I finally gave in. The fact is I like to see ahead of the car in front of me. It’s partly a control thing, and partly a defensive driving thing. Yes folks, after years of decrying them as the spawn of de debbil himself, I drank the Kool-Aid. It’s worse than that: I’ve actually bought two of them in the past year. My current daily commuting appliance is a very nice, ordinary, blends-in-with-the-scenery Toyota Highlander, bought specifically 1) so I could see in traffic, 2) so I could carry up to 7 people since the kids have outgrown the backwards seat in my wife’s wagon, and 3) because it’s a hybrid and I have one of Northern Virginia’s grandfathered plates that lets me drive in the carpool lane by myself – thus shaving about 30 minutes off my commute each way. But I only bought that after I’d dipped my toes in the SUV water with a 1999 Mercedes ML320, which is ten times the truck that the Toyota is, but was also as finicky as one would expect from a 14 year-old rusty German truck built in America. 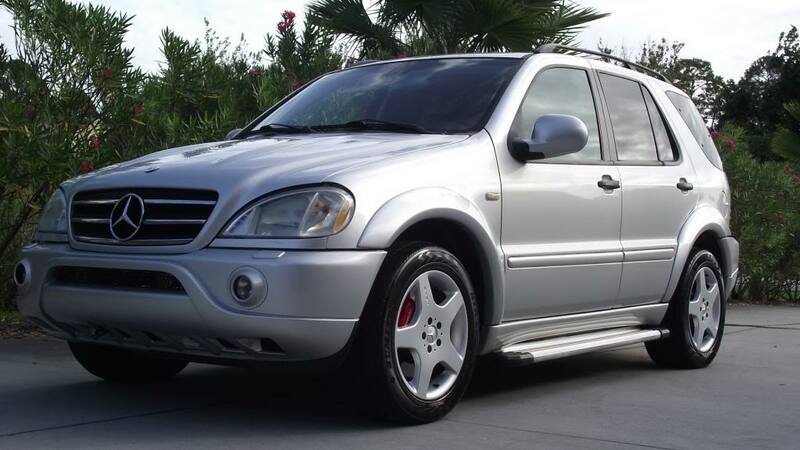 Now, as capable as the 320 was, the hot ticket in the original ML-Class was the monster-motored AMG ML55 just like this one available in Merritt Island, Florida. 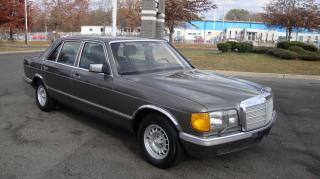 What’s more, at an astoundingly low $6,500, this could very well represent the cheapest path to ownership of a fully functional, non-train-wreck AMG Mercedes.